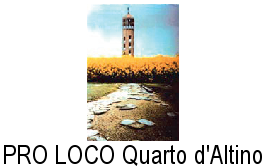 Quarto d’Altino is placed among the resurgence rivers and the lagoon. The area was already well regarded in the Roman Age because of its pleasant and livable climate. The enchanting Sile river goes through the whole territory of Comune di Quarto d’Altino. It is more than 90 km long, one of the longest resurgence rivers in Europe. It flows through a natural and unpolluted environment, among venetian villas and manor houses. It allows a quiet sailing from Treviso to the islands in Lagoon of Venice, with beautiful views of nature at various bends. Its course and the neighbouring areas belong to the Regional Natural Park “Parco Regionale del Fiume Sile”. The towpaths (embankments) of the river are pleasantly-suitable for walking or cycling. Arranged excursions on the river by boat or vessel allow you to sail from Quarto d’Altino to Treviso or to the islands: Torcello, Burano, Sant’Erasmo, Murano and Venice. There is also the Naturalistic Oasis of Trepalade along the course of the river. It has a help desk and has wheelchairs access. The oasis is always open to the public with an advance booking with Associazione Ornitologica Basso Piave. In the oasis you can admire the natural biotype and you may have the opportunity to observe the wildlife of the territory, the riparian brush and the tipical hydrophilous wood. The Educational Environmental Centre “Airone” and the Ornithological Museum of Portegrandi are important to complete the visit of the oasis. 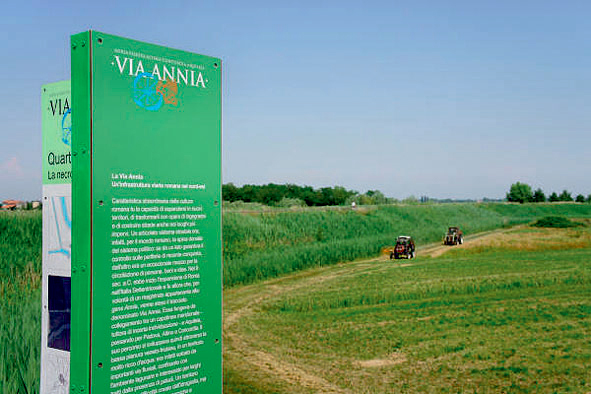 Along the Sile river, in San Michele Vecchio, there is an important botanic, floristic, orni­thological and entomological natural area: it is the humid zone of San Michele Vecchio. In here a rare and carnivorous flower grows up (utricularia vulgaris), it lives in water and it eats small insects that settle on its yellow vescicles-provided petals. 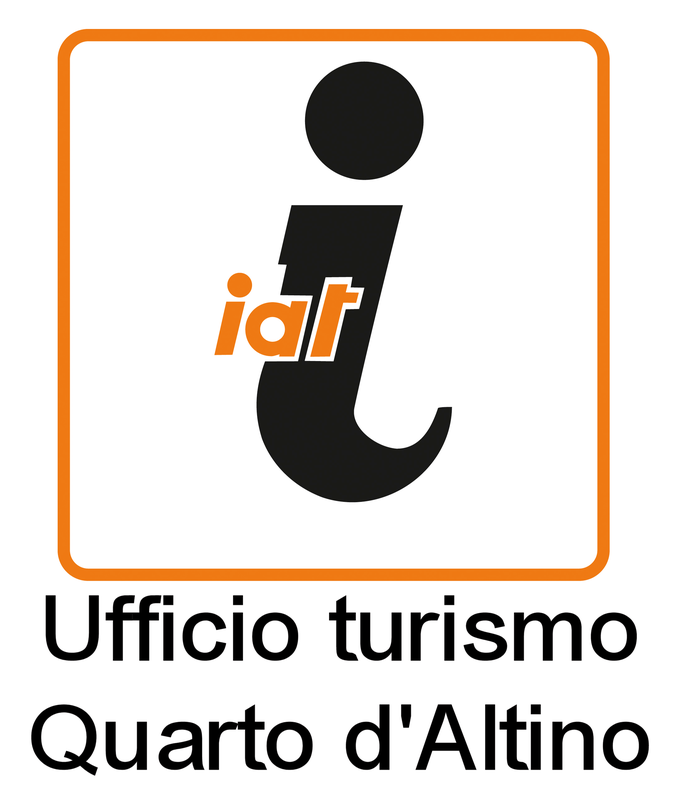 This humid zone is freely accessible but the guided visit by Associazione ASTEA-CIDREA is recommended. Conca di Portegrandi is one of the most evocative places in the area because of its history, beauty and touristic importance. In 1680 there was the deflection of the last stretch of the Sile river and the opening of “taglio” towards Caposile, thanks to Serenissima Republica di Venezia. The doors open and close the flooded water for the transit of boats, levelling the water mark of the river (usually higher) to the lagoon water mark. It was built in 1682-1684, when the craft price list was ruled and cut into a flagstone placed close to the flooded water. 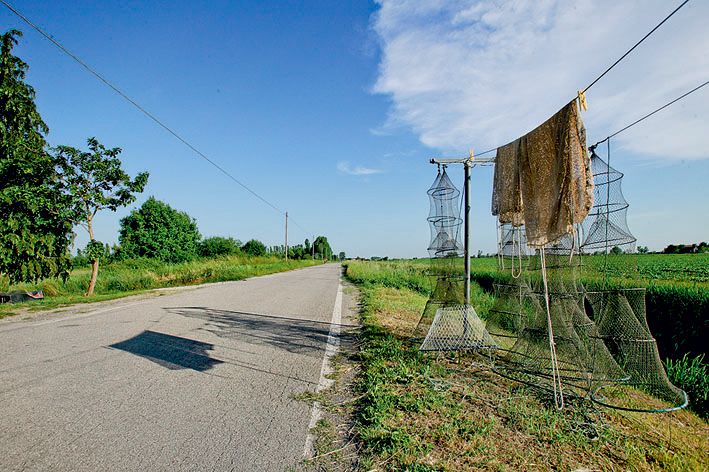 This area has an important environmental and naturalistic interest which belongs to Regional Natural Park “Parco Naturale Regionale del Sile”. The “Conca” was the centre of Portegrandi until 1960. The continuous craft’s transit brightened up the town and it became an exchange of news point.